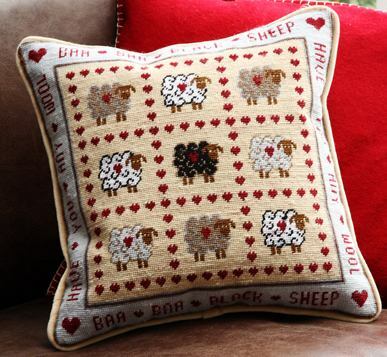 A fabulous design of sheep and hearts - great fun! The kit contains 12hpi printed canvas, tapestry wool, needle and full instructions. The design measures 14" (35cm) square.